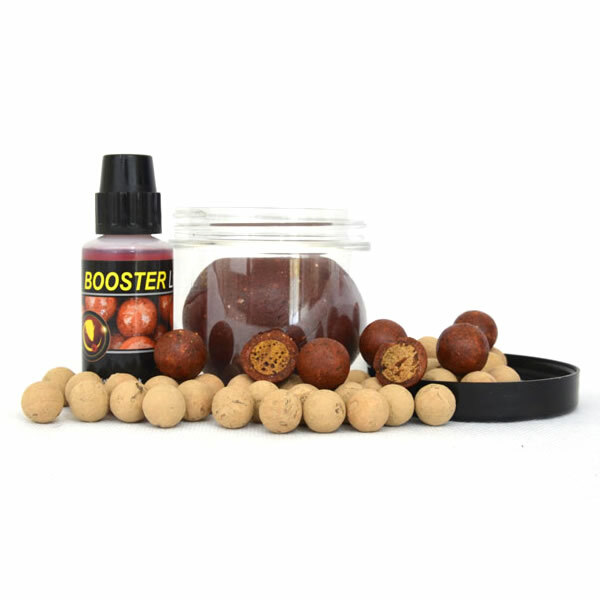 Boosted Hard Hookers : Essential Baits, Quality with a BIG difference! 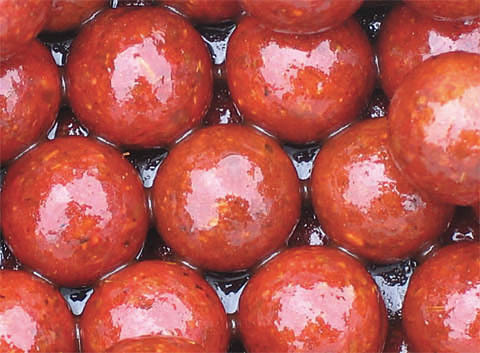 By popular demand, we have now added Hard Hookbaits to compliment our range of freezer and shelf life boilies. Furthermore, these 'high-attract' hookaits come soaked in a dedicated Liquid Food to further boost their pulling power and release a steady diffusion of food signals into the surrounding water column for at least 48 hours. They also contain added hardeners such as egg albumen and whey protein concentrate, which in turn will greatly minimise the attention from nuisance fish, diving birds and crayfish. Super hard, super attractive and an absolute 'must have' in many situations. 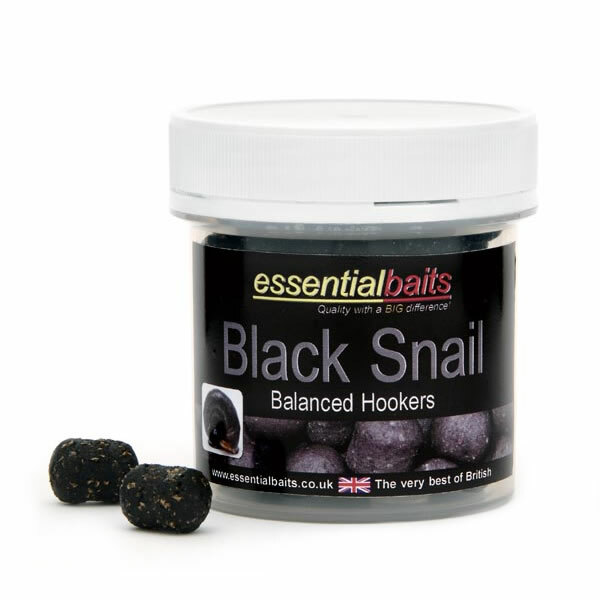 Available in Shellfish B5, Black Snail & Salami Cream, each with their own dedicated Liquid Food to match. 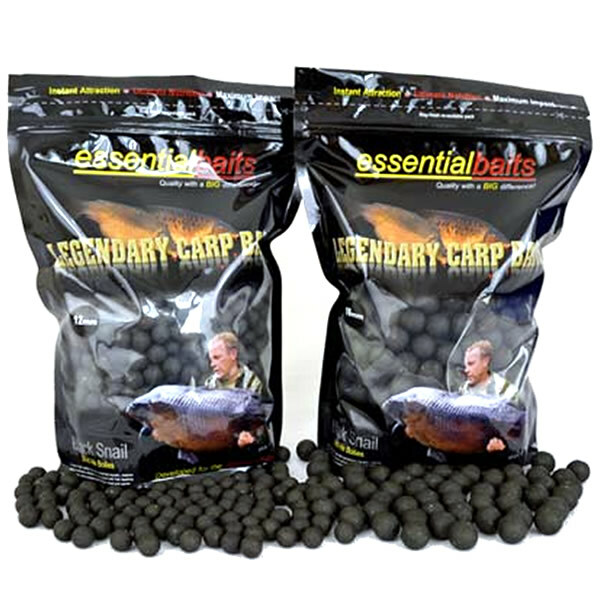 Packed in grip seal bags of 200 grams and available in 12mm, 16mm and 20mm. 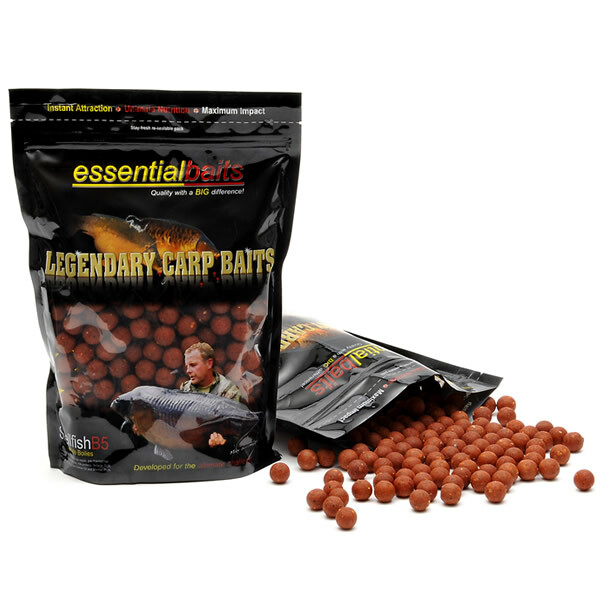 Price = £5.95 per pack. Note: These baits have been fully dried before being coated in liquid, which renders them 'shelf life' for 9 months from date of purchase. 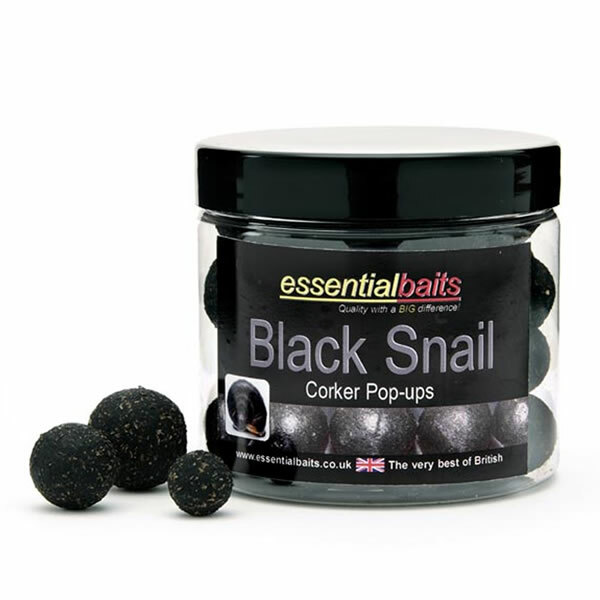 Whilst carp are not generally recognised as sight feeders, there are undoubtedly times when they are visually drawn to a food source and bright pop-ups are a classic example of this. 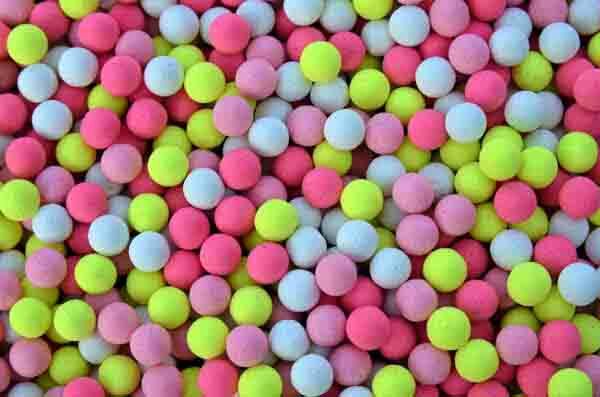 It's not surprising therefore, that fluoro pop-ups have proved very effective, particularly if just using a single bait with no free offerings. The winter and spring months are a classic example of this and a single fluoro pop-up cast to a 'showing' fish has resulted in the downfall of many a carp. But it would be a mistake to think fluoro pop-ups should be just restricted to single bait presentation. 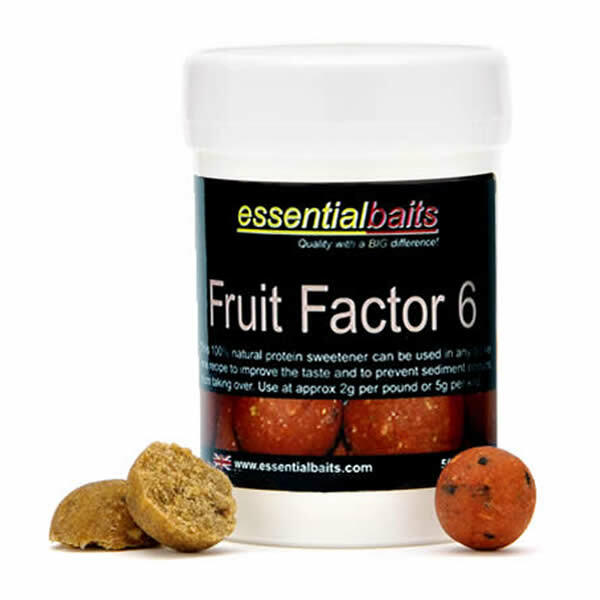 Quite often, a fluoro pop-up fished over a bed of bait can fool the wariest of carp and a little 10mm fluoro pop-up mounted above a standard bottom bait can act as a very good visual sight and lead to a bite or two when other methods fail to produce.